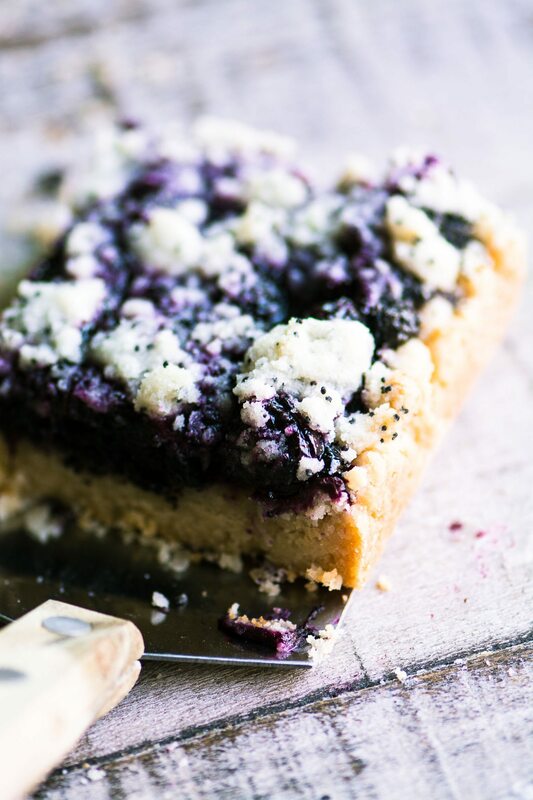 Blueberry Poppy Seed Squares, a unique coffee cake in the Eastern European tradition ~ it’s packed with fresh blueberries and crunchy poppy seeds on a buttery shortbread crust. This is one unforgettable snack cake! This unusual recipe, known as Boruvkový Kolác, or blueberry cake, draws on the baking traditions of Czechoslovakia, Hungary, and Russia. 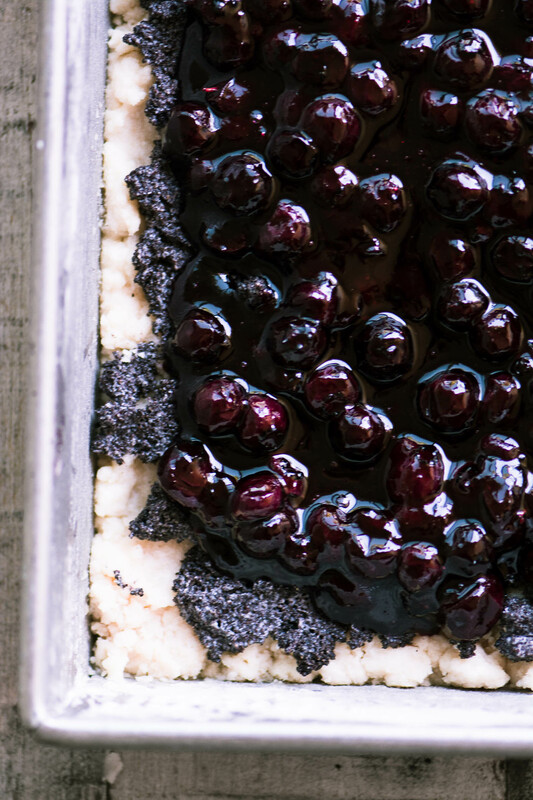 It features a generous layer of crushed poppy seeds mixed with cream spread over a shortbread crust, and topped with cinnamon scented blueberries and a light streusel ~ it’s a good bet you’ve never had anything like it, and it’s wonderful. I file this recipe under January Baking ~ my favorite kind. January baking is relaxed, and driven only by what I feel like on any given day. 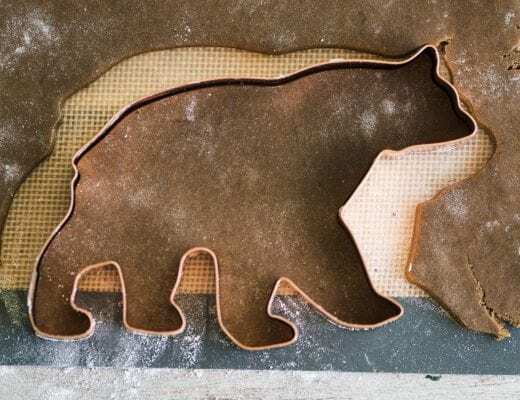 I don’t like complicated baking projects, and I’m always on the lookout for new and unusual treats that aren’t too decadent and aren’t difficult to throw together. These bars fit the bill perfectly ~ and the combination of ingredients makes them really special. The purply iridescence of all those poppy seeds just sends me. There are a few steps to assembling these bars, but nothing you haven’t done a millions times before…except maybe grinding the poppy seeds! 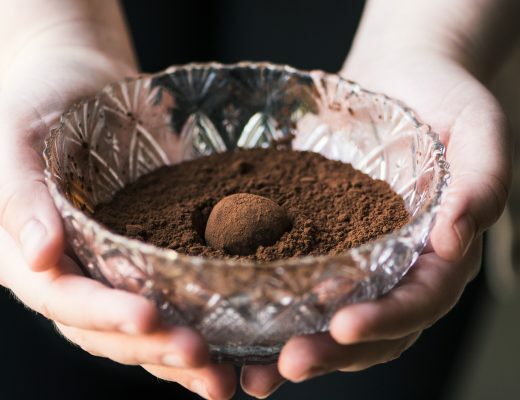 Ground poppy seeds are a common ingredient in Eastern European and Russian desserts, and you can buy them already ground in the form of a paste, if you have access to a specialty market. I ground my own in the dry container of my Vitamix blender in just a few seconds time. You can grind them in a coffee grinder as well. If you can’t grind them, I would use the whole poppy seeds, I don’t think it will make that much difference. After you lightly pat down a layer of shortbread dough in a 9×13 pan, you top it with a mixture of ground poppy seeds and heavy cream ~ sounds good already, doesn’t it? Over that, lots of fresh blueberries that have been briefly cooked with some sugar, lemon juice, and cinnamon. It smells wonderful! The final layer is a simple streusel made with the same shortbread ingredients. The poppy seeds add a unique savory element to the flavors of these coffee cake squares. I’ve used POPPY SEEDS in all kinds of recipes here at tvfgi, from CHICKEN SALAD to FRENCH TOAST. 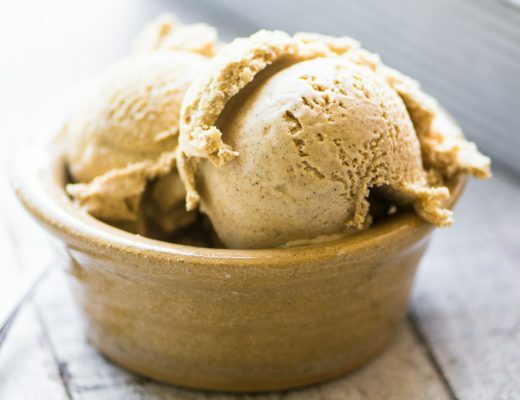 I’ve even made AMARETTO POPPY SEED ICE CREAM! You will need more than a small jar of poppy seeds for this recipe, and you can always find them in bulk, online, HERE. To store extra poppy seeds, put them in an airtight container in the refrigerator (6 mos) or freeze them, (1 year). “The pan is in the oven right now. I felt like an artist making this cake, I should have taken a picture. 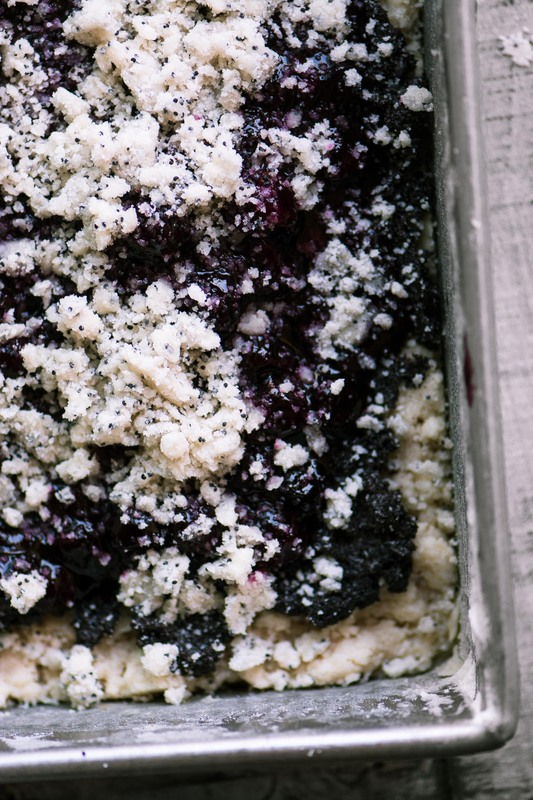 First the dough end to end, next the poppy seeds, followed by blueberries and ending with the streusel. It was a wonderful experience , that I never felt with other recipes. 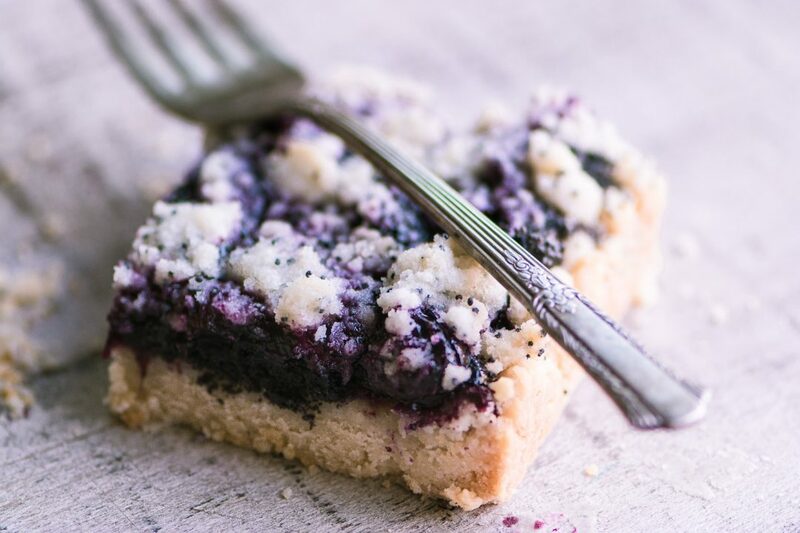 Blueberry Poppy Seed Squares, a unique coffee cake in the Eastern European tradition ~ it's packed with fresh blueberries and crunchy poppy seeds on a buttery shortbread crust. This is one unforgettable snack cake! 1 1/2 cups ground poppy seeds (grind them in a coffee grinder or high speed blender like Vitamix) If you can't grind them, use them whole. Butter and flour a 9x13 pan. Cream the butter and sugar together until light and fluffy. Mix in the flour and salt until just combined. Press it into the bottom of your prepared pan. Chill for 20 minutes, then bake for 12 minutes, just until it starts to turn the faintest golden. Set aside to cool. Meanwhile put the filling ingredients in a saucepan and bring to a boil, stirring to dissolve the sugar and cornstarch. Turn down the heat and continue to boil for about 15 minutes, or until the blueberries have released their juice and the mixture has thickened a bit. Set aside to cool. Use your fingertips to mix the streusel topping together. Break up the butter into small bits to create a nice crumb. Set aside. Stir together the poppy seeds and heavy cream. Spread across the bottom of the cooled crust. Add the blueberries over the top of the poppy seeds. Top with the streusel. Bake for 40 minutes, until it is bubbling and just begging to turn golden brown along the edges. Cool and cut into 16 squares. You could theoretically leave out the poppy seed layer and just add some to the shortbread dough and streusel for a more subtle poppy seed presence. You could use any number of berries in place of the traditional blueberries. Frozen berries should work fine. 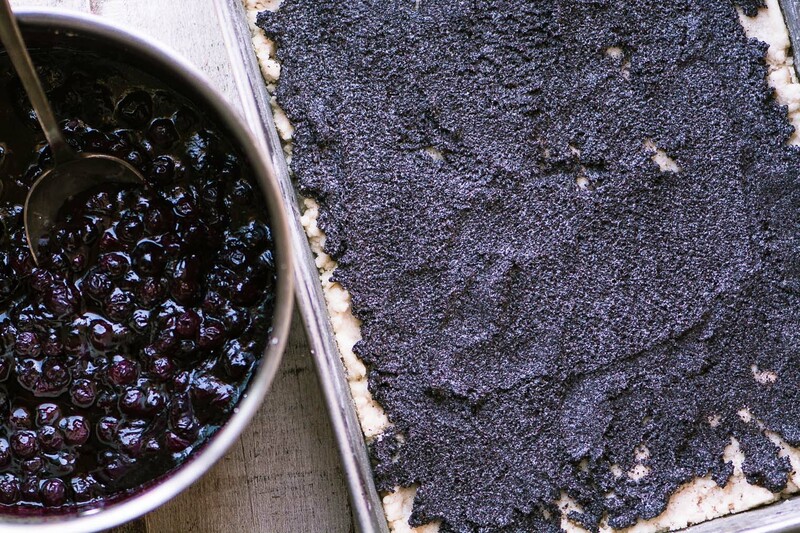 Don’t forget to pin these Blueberry Poppy Seed Squares! How do you think this would be with cherries??? I think that would be incredibly yummy. I’m excited to serve these for my sister’s birthday tomorrow evening. 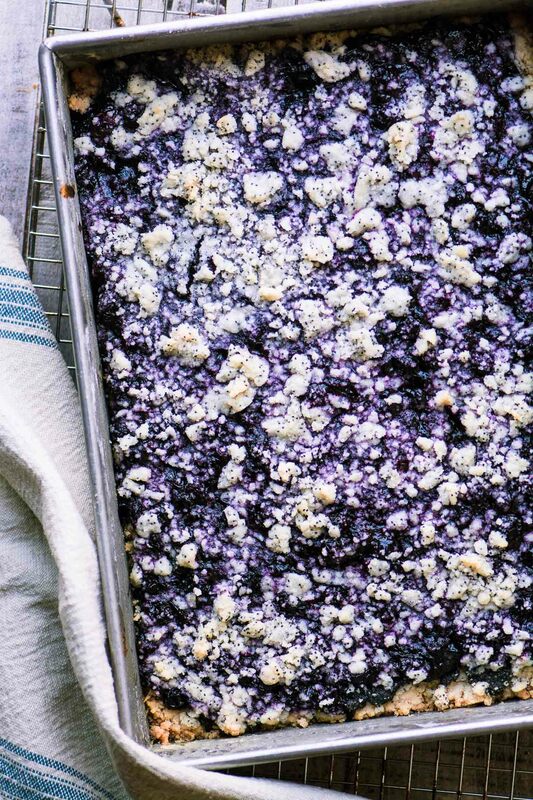 I have a similar question to mine from the sour cherry bars (which were a hit) Can I make them tonight to serve tomorrow? That should be fine Mary! Silly me, but do you whip the heavy cream for the layering? No, you just mix the cream and poppy seeds together, it’s like a paste. It’s me again! I forgot to say I made the cake with almond flour. It just came out of the oven, it tastes just heavenly. Thanks so much Joan, I bet it was delicious with almond flour! The pan is in the oven right now. I felt like an artist making this cake, I should have taken a picture. Tonight my friends are getting a fantastic treat. Thank you again. Haha, that’s just how I felt, what a pretty set of ingredients! 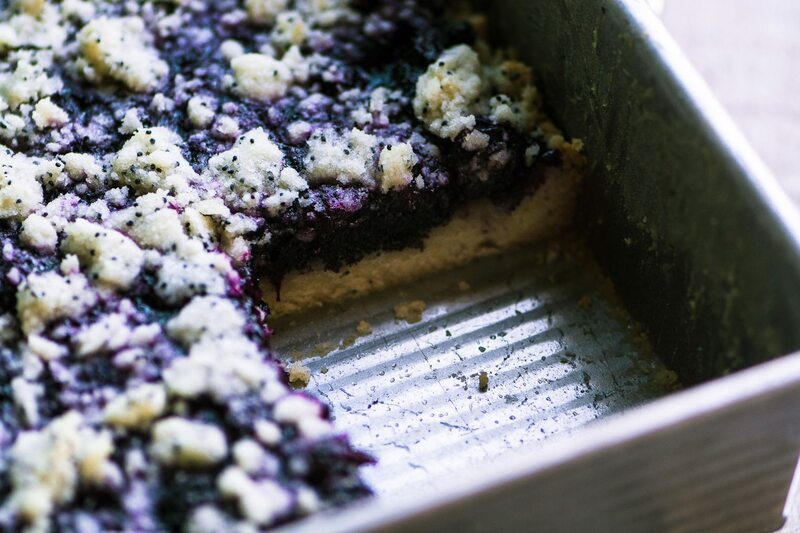 I love anything with blueberries and these squares look irresistible! I can’t get enough blueberries. So there’s that. It never occurred to me to combine them with poppy seed, but why not? It seems like such a perfect pairing! The Polish boy in me can’t wait to get one of these out of the oven! Just want to say how much I LOVE your site. I have made a few of your recipes (all GREAT!) and really look forward to getting your emails. I love the way you do things, the things you say. The look of your site. All of it. Just wanted to say thank you. 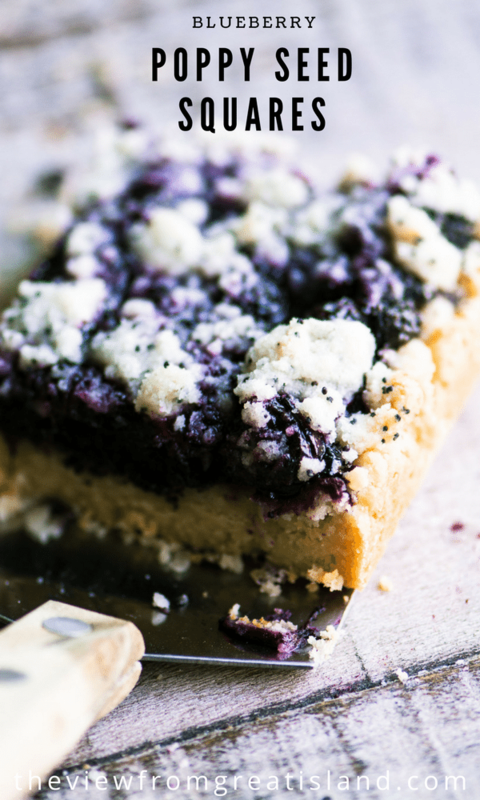 Love the unique combo of poppy and blueberries…these bars looks very inviting! This is such a beautiful looking squares.. I almost have everything in my pantry to make this.. can’t wait to try it! Enjoy Soniya ~ I just had a little square for breakfast, yum! Man, that looks so delicious and so different! I love the idea of the poppy seed layer and it doesn’t seem like it would be too sweet! Well done! No, these aren’t too sweet Beth, and that’s the way I prefer most desserts. The poppy seeds definitely add a savory element to the flavor. These sound amazing – can’t wait to try them! Just a quick tip – when my Czechoslovakian aunt used poppy seeds in recipes, she always rolled them out with a rolling pin to break them down, and then mixed in a little sugar to take away the bitterness. Perhaps that might help here if you don’t have a grinder. This dessert is so intriguing! I want to make it as soon as possible! I love the addition of the poppy seeds and can’t wait to taste the combination with the blueberries! Pinning and planning on making it real soon! Beautiful photos as usual! Thanks Elaine, the flavor is unique, for sure. It’s not often that we actually get to ‘taste’ those poppy seeds! 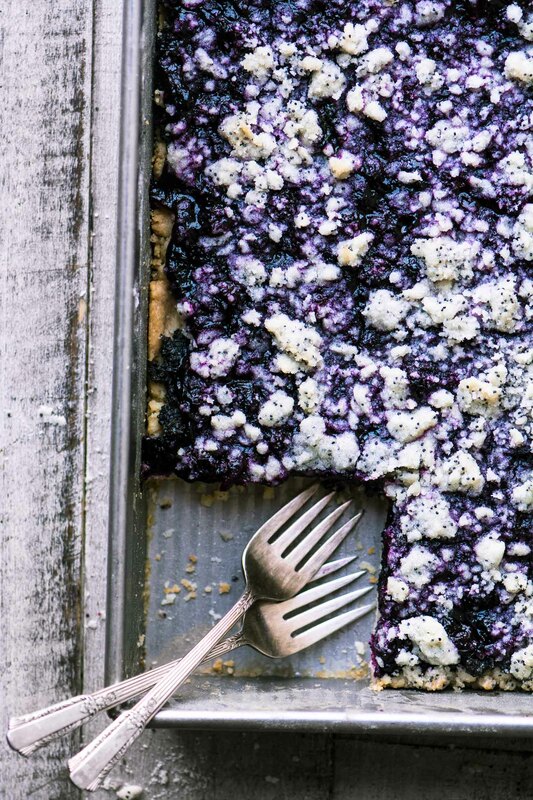 Love that poppy seed layer, and of course anything with blueberries in it, so sounds go to me! This is a fascinating recipe. I really want to try this poppy seed paste – I bet it is fantastic. And of course I adore blueberries. Very unique, beautiful and fun! I tried to find the ready made paste, I know I’ve seen it in one of the International stores here, but really it was so easy to make in the Vitamix, or even a coffee grinder, and I bet it’s even better that way. What a unique and delicious looking and sounding sweet treat! I’ve never heard of this before but am quite happy to get acquainted! Thanks, Sue!